Guests : Saîf and Jean-François who have both been to Palestine and friends of Sophie’s. Jean–François is an artist and, just like Tanguy did in 2008, he went to Palestine in 2007 with a group of teachers as a photographer and video director. Jean-François told us then how, one day, the 12-year-old boy of the Palestinian family he was staying with had grabbed his camera and had started taking photo after photo of events (for example, a raid on 60 people, 50 of whom didn’t come back) and places he couldn’t go to. "Indeed, taking pictures implies establishing a trust building approach with the people, and this takes time". He finally let his camera to the boy. Back to Belgium, after he had developed the photos (which he had sent to himself through the post), he and his colleagues realized that one way to compensate for the lack of information on what is going on in Palestine would be to send (cine)-cameras to the young Palestinians : this would give them a means of communication, an audio-visual aid to broadcast their reality. "After 10 days in Aida, he said, you will probably have found people you can let some equipment to." And he entrusted a camera for us "to leave there". Saïf is a member of an NGO that works at promoting health, food security and decent work. In 2008, he left to Palestine (Jerusalem and Ramallah) as an observer in the context of popular seminaries and visits on the fieldwork. Being of Moroccan origin (and consequently “automatically considered as a suspect”, he said with a smile), he always got a different treatment from his colleagues : he was detained for much longer periods at the control desks, checkpoints or barriers where he could get a taste of the grilling techniques of the Israeli military (long waiting, followed by a 20-minute long interrogation, then long waiting again, questions again, the same ones but put by other soldiers chasing for contradictions, long waiting again… a psychological war to try people’s patience and push them over the edge. 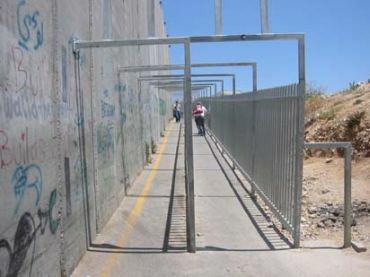 * “You will cross Bethlehem checkpoint on foot. Remember that the logic of the checkpoints is nothing but a bunch of vexations : you totally depend on the good will of 18-year-old kids who were given weapons. You’d better not trust the female soldiers in particular, as they generally make others pay for the frustrations they are subjected to in the army. The same is true with the Ethiopian soldiers, who are considered as under-Jews by the white Jews and who constantly have to prove themselves. You won’t be searched though. Searching is part of the airport logic, and there is no communications between the airport and the checkpoints ". What struck Saïf when he was in Jerusalem was the contrast between the Jewish part of the town, where everything is clean, new, empty and cold and where people looked daggers at him, and the Arab part, which he felt was a warm and lively hugger-mugger. "There, you are faced with the obvious intention to jewishize the whole town, Saïf said. An example : on the paintings of the town artists exhibit, the dome of the mosque is not to be seen : it is already wiped out of the picture." And Saïf suggested we should (just for fun) spot all the signs of this organized obliteration of non-Jewish elements from the old town (Arab names of the streets crossed out and the like… just think of Rhode-Saint-Genèse here in Brussels, where Flemish extremists do the same). As for Ramallah, even though there are Israeli incursions there too, it is the only town under Palestinian administration in the whole country. This town is less religious, more secular than the other ones. The Theatre Group Ashtar, the Ramallah Circus, and other organisations work at a cultural resistance : they do a really in-depth job so the young boys and girls can resist without resorting to violence. And Saïf warned us : "You will most probably be moved by what you will see and hear, without being able or allowed to react - a matter of safety. So it is important that at night, you get together as a group and you speak about everything you will have accumulated in the day." Jean-François confirmed : "You should know that in the refugee camps, the night belongs to the Israeli military... It is a special feeling to be woken up by the muezzin’s call and the Israeli soldiers’ siren, gunshots and noise bombs at 4 a.m … There are tragedies everyday. Yyou may have to attend one…." 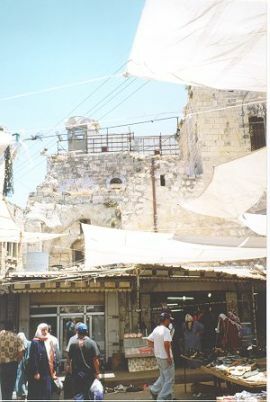 Jean-François had also found Jerusalem bustling with contrasts and life. "An interesting thing to do in the districts of the old town is to climb up the stairs that lead to the terraces above the souks to see how, bit by bit, they are being colonised by the Israelis." The situation is similar in Hebron, yet much worse Jean-François said : "In case of provocation by Jewish settlers (throwing stones…), never answer back. Indeed, you must know that behind them, there are always soldiers taking aim at you." Crossing Arab districts that have been completely emptied of their inhabitants (no man’s lands) will be surprising : only Jewish settlers still go there to throw stones at the kids who have to go through these streets. Surprising is also the fact that Jews and Arabs live the ones above the others, i.e. on different plans ("Imagine the constant nerve war, the insults…") : in the other town, they live in separated districts. Nablus has a really oppressive atmosphere, Jean-François admitted : "This town is overcrowded, dusty, filthy. The Palestinians live in the valley, the Israelis on the hills (like everywhere in the West Bank : it is a matter of keeping the control). 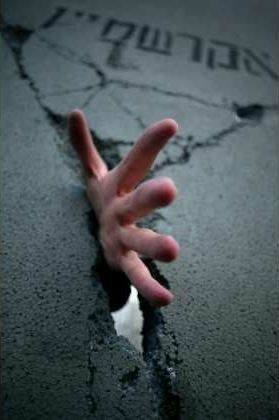 There were very hard fights in Nablus in 2002-2003, and the scars of it are on the town and its people’s faces…. It is impossible pour them to go outside the city, nor to build a house when the family expands... As for the two refugee camps located on the outskirts of the town (of which Balata), they are simply unbearable with the lack of hygiene, the tension and violence that are the rule there". 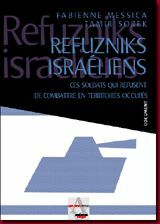 A book on the question of the refuzniks, these Israeli soldiers who refuse to lead operations in the Palestinian territories. We declare that we shall not continue fighting in this war for peace in the settlements, that we shall not continue fighting beyond the Green Line to dominate, evict, starve and humiliate a whole people. We declare that we shall continue to serve Tsahal in all opportunities that will serve the defence of the State of Israel. Occupation and repression don’t have such an objective. And we shall not participate in them. " The pictures marked with a star * have all been borrowed from the net. May their authors see no mischief in it!